A few weeks ago I promised to provide an update on where I’m at with the book I’ve been threatening to publish about my journey from lowly hill walker to Everest summiteer. So here it is, along with a short teaser from the book in the hope that you might be tempted to buy it when it comes out. Here I am tapping away at the first draft. I’m not allowed the beer until I’ve written at least 2,000 words. 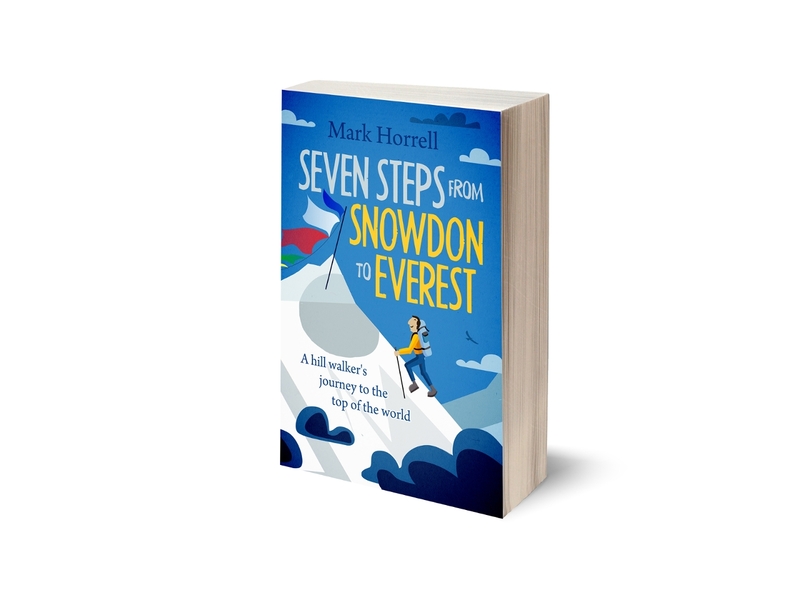 I started the book shortly after returning from Everest in May 2012. I was a fair way through it, and had written around 100,000 words when, horror of horrors, I accepted a full time job, and this rather put the scuppers on the momentum I had built up. I chipped away at it over the next year until the end of my contract, and since returning from my expedition to Lhotse last spring I’ve been able to give it my full attention again. I finally finished the first draft last month, which I’m now revising. It currently stands at a whopping 180,000 words, and I’m hoping to cut it down by about a third by chopping out much of the rubbish and focusing on the bits that are really important to the story (as you probably know, some of my jokes are very bad, so deciding what to edit out should be quite easy). Once I’ve completed the second draft I will be handing over to a professional editor to help me knock it into shape, and will be receiving further input from some beta readers who have kindly volunteered to help me out by giving it a preliminary read and providing their thoughts. There will be further drafts based on the feedback I receive. I’m pleased to have found an editor who I think will be particularly well-suited to this project, and I hope that at some point towards the end of 2015 I will have a manuscript that is suitable for publication, and as good as anything released by a traditional publisher. And so to the extract, but before I launch into it here’s some context. As I’ve mentioned, the book is about my journey from hill walker to Everest summiteer. It’s a journey that lasted ten years and took me to many mountains around the world as I built up the skills and experience I needed to succeed. 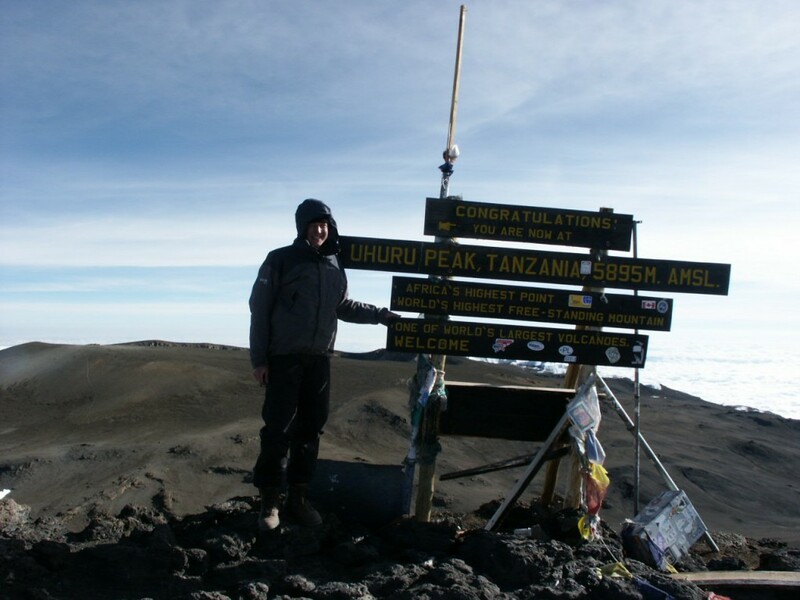 One of the steps of my journey was to climb Kilimanjaro, my first high altitude summit and a peak I would recommend to anyone with a love of high mountains, not just those who are considering Everest. It’s also fresh in my mind at the moment, having just returned from Africa this week. Bear in mind this is just the first draft, and the extract below may or may not make it into the final book. If it does then it’s likely to be substantially edited. I’m hoping very much you enjoy it and would welcome any feedback. In Ernest Hemingway’s short story The Snows of Kilimanjaro, the tale of a man who lies in a cot moaning at his wife while he dies from an infected scratch picked up while on safari in the plains of East Africa, the frozen carcass of a leopard found near the summit of Kilimanjaro is used to symbolise achieving immortality by rising above the mundane. Kilimanjaro was to be the first of several trophy hunters’ mountains that I ended up climbing. Until then all the people I had met on treks were people who actually enjoyed trekking. Not that surprising, you’re probably thinking, why would anybody spend several weeks trekking in remote mountains if they didn’t enjoy it? But for many people climbing Kilimanjaro is all about enduring splitting headaches and appetite loss for a week, trying to force down ropey food, getting the shits and struggling to squat over a smelly hole in the ground, monotonously putting one foot in front of the other for hours on end, and vomiting into a volcanic crater. Many of them don’t even like walking and can’t abide camping. They’re so exhausted by the time they reach the top they can’t even remember what it was like up there, they have no intention of doing anything like it ever again, and yet they have no regrets about putting themselves through the ordeal. For heaven’s sake, why? Don’t bother reading the story if you’re expecting Hemingway to give the answer, but I think we can take it as read the leopard wasn’t up there to enjoy the scenery. The main character is a writer, and the story alternates between him reminiscing about the many interesting things he did with his life which he never immortalised by writing about, and being unpleasant to his rich, kind and loving wife whom he blames for his decadent and wasted life. The leopard Hemingway mentions in the opening paragraph is not a figment of his imagination, but was actually found in 1926 by an English doctor called Donald Latham on the crater rim at a place now called Leopard Point (you don’t say!). The following year a German missionary called Pastor Richard Reusch found it again and cut off a piece of its ear to keep as a souvenir, but by the early 1930s it had disappeared. Leopard Point is at an altitude of around 5700 metres, well above the height you might expect to find any living creatures, and it’s natural to speculate what on earth the leopard was doing there. For Hemingway, why it was there wasn’t important, but the very fact that it was there gave the leopard a certain immortality. To put it more bluntly, by climbing Kilimanjaro it had become the most famous leopard in Africa. 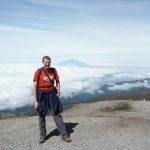 I made it to the summit of Kilimanjaro, but how difficult was it? You will have to read the book to find out. 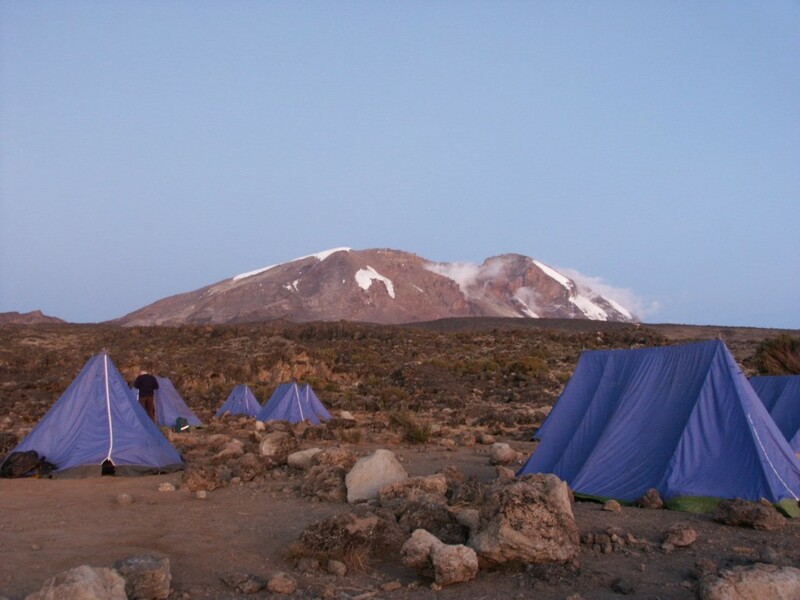 There have been many silly ascents of Kilimanjaro. In 2007 the Frenchman Gerard Bavato ran to the summit in 5 hours 26 minutes, and in 2004 Tanzanian ultramarathon runner Simon Mtuy, who is also a guide on the mountain, ran to the summit and back in 8 hours 27 minutes. Valtee Daniel of France climbed it when he was 87, and seven year old American Keats Boyd was so young when he climbed it he ended up having to do it illegally (the minimum age for a climbing permit is ten). The broadcaster and travel writer Nicholas Crane cycled up it in the 1980s, and there is a story of a man who walked all the way to the summit backwards only to get back down and discover somebody else had done exactly the same thing a few days earlier. Following the example of many charity marathon runners, perhaps the bravest ascent was by Douglas Adams, author of The Hitchhiker’s Guide to the Galaxy, who once climbed Kilimanjaro dressed in a rhino outfit to raise money for the charity Save the Rhino. Now call me a coward, but if there’s one thing worse than being mauled to death by a rhino then it’s probably being humped to death by a rhino, an eventuality which I would say is considerably more likely climbing Kilimanjaro than, say, running the London Marathon. Perhaps some of these people actually enjoyed climbing the mountain, but it’s also likely some of them hated every minute of it. It doesn’t matter. They all had different reasons, whether it was being the first, the fastest, the oldest, the youngest, to get material for a book, to fundraise for charity or raise awareness, the one thing all of these ascents had in common was the participants weren’t primarily doing it because it sounded like a nice place to go for a holiday. 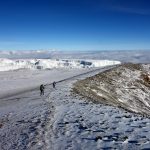 It’s certainly true that a great many people, and probably most of us, climb Kilimanjaro for the enjoyment, but there are an awful lot who don’t. It was a theme I would come up against again and again on my journey to the summit of Everest, and one that I would inevitably end up having to defend myself against as well. At its most innocent the accusation is that you are climbing the mountain for the sense of achievement alone; it makes you feel good about yourself. At its more cynical the accusation is that you are climbing it for the bragging rights, which on a mountain like Kilimanjaro might manifest itself in the many charity trekkers who hope to raise more money for their chosen charity by climbing Kilimanjaro than they would by, say, walking 200 miles along their local canal towpath. On a mountain like Everest it manifests itself in the professional mountaineers who need to raise money from corporate sponsorship, and the motivational speakers who acquire a certain kudos in climbing Everest that they don’t by climbing a mountain nobody has heard of. In the case of Everest it has become a much more emotive issue, but more about that later. I was quite near the beginning of my journey when I arrived on Kili, and unaware of many of these undercurrents. It’s likely I was experiencing a bit of that myself; I really wanted to get to the top and didn’t want to come home saying I hadn’t made it, and I was yet to learn the lesson that failing to reach the summit is part and parcel of mountaineering, and sometimes there’s nothing you can do about it. But it was also true that I was really enjoying my trekking, and quite capable of doing something more strenuous. I was expecting Kili to be tough, but I expected to enjoy it as well. I’m halfway through Denali nights and it lives up to your usual standard. Anxious to get dibs on this new work. Don’t skimp on the comedy and self degradation. It is your trademark! Hi Mark, you are definitely a man for the detail and I think that when you combine these well-researched anecdotes with a slightly irreverent style, is when you’re at your best. Sometimes you can be a bit graphic which stunts the reader’s imagination, as can over-intellectualizing. I would be thinking very strongly about my target audience, as clearly it can’t be everyone. I totally agree with the previous posters that the self-depreciative humour and bad jokes are an essential component! 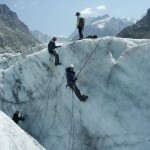 Hi Mark, your journey of a climber is one that will be an interesting read. I have read all your books and have one thing I must say is that you encapsulate the essence of climbing. Whether that be through your beginnings of climbing peaks like Kili or Aconcagua, to your set backs on Baruntse, Cho Oyu and Gasherbrum II or your tribulations on Manaslu and Everest. You have matured as a climber and also as a writer. Just like your experiences on the North Col for the first time and training on ice walls front pointing and using jumars, only to come back years later and see people doing exactly what you were doing back then, your writing has developed (not sure about the jokes though) into an honest and personal snapshot of something that your love and enjoy doing and I hope that you stay true to that. Good luck with the writing and I look forward to a enjoyable read in 2015. Ha, thanks for the kind offer, Wade, but the day I run out of bad jokes will be the day they find a baobab on Mars! If you edit out the bit about the rhino suit, I will buy a plane ticket to England, get a rhino suit and lurk outside your bedroom window each night so the last thing you see before you go to sleep each night is a rhino. Perhaps one singing amorous songs. Thanks, Glenn, that’s good advice. I’ll leave it in then. 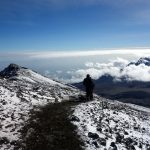 Hey nice blog you run.very informative……am planning to climb kilimanjaro and would like to visit when there is higher amount of snow than the usual and a visit of the 3 craters….help me out with info on this please. …any extra costs for camping at the crater? Haha, I’m sure there are, yes, but I’m not a tour operator. If you are looking for one then I can recommend Zara Tours, who we used over Christmas. They will be able to answer these questions much better than I can.